Shop our range of women’s sheepskin accessories. 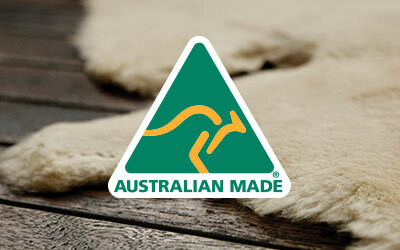 Our 100% real Australian sheepskin is a completely versatile material. Keep cozy in the winter with women’s earmuffs and gloves. We also have waterproof sheepskin insoles, to put into your EMU Australia sheepskin boots for ladies to give them a new lease on life and keep them insulated. Opt for gloves with an exposed cuff for a touch of glam, in black or brown, or add a color pop to your winter outfit with a pair of blue nappa leather gloves or blue earmuffs. Keep cozy in the winter with sheepskin accessories by EMU Australia. We have a range of styles of the warmest winter gloves, made with 100% real Australian sheepskin, meaning they’re water resistant, soft and comfortable, whilst remaining stylish and trendy. Our Apollo Bay sheepskin gloves with exposed fluffy outer cuff add a touch of luxury to the everyday. And we also have classic and pretty leather and nappa outer gloves which are unlined to give a more snug fit. Some of our gloves are also Woolmark accredited. Gloves add a touch of casual glam to any winter outfit. We also have a stylish selection of sheepskin earmuffs, to protect your ears from the ice and cold and keep them toasty and warm on those outdoor winter walks. Our earmuffs are designed in a classic but trendy style and are guaranteed to fit really comfortably, plus they’re also super stylish and cute. Go for a classic color with cream or brown, or add a pop to your winter outfits with blue. Our 100% real Australian earmuffs are also Woolmark accredited. You’ll also find waterproof sheepskin insoles here, which can either be popped into a new pair of boots for extra cosiness and warmth, or used as replacement insoles for your EMU Australia sheepskin boots. The woolly lining of our sheepskin insoles are super warm for the winter but as sheepskin is naturally very breathable, they wick away moisture to keep your feet cool in summer too. 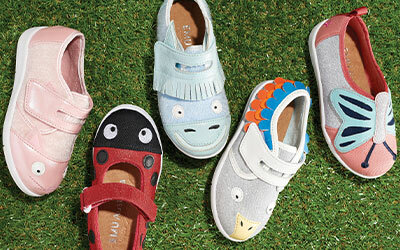 They also have arch support to keep your feet supported and comfortable all day. On our women’s accessories page we also stock a small care kit, filled with items designed to protect your EMU Australia sheepskin boots, including suede cleaner, rain and stain protector, refresher spray and a brush suitable for cleaning our 100% real Australian sheepskin. Protect your investment with our sheepskin boot care kit.